All of this implies that economic policymakers require an enormous dose of humility, openness to various alternatives (including the possibility that they might be wrong), and a willingness to experiment. This does not mean that our economic knowledge cannot guide us, only that what works in theory – or worked in the past or elsewhere – should be prescribed with an appropriate degree of self-doubt. But, for economists who actively engage the public, it is hard to influence hearts and minds by qualifying one’s analysis and hedging one’s prescriptions. Better to assert one’s knowledge unequivocally, especially if past academic honors certify one’s claims of expertise. This is not an entirely bad approach if it results in sharper public debate. The dark side of such certitude, however, is the way it influences how these economists engage contrary opinions. How do you convince your passionate followers if other, equally credentialed, economists take the opposite view? All too often, the path to easy influence is to impugn the other side’s motives and methods, rather than recognizing and challenging an opposing argument’s points. If you treat all individuals as fundamentally the same in your theoretical constructs, it would be odd to insist that the law should suddenly start treating them differently. A distressingly large portion of the debate in many countries analyzes the effects of higher immigration on domestic citizens alone and seeks to restrict immigration to protect a national culture or existing economic interests. The obvious but too-often-underemphasized reality is that immigration is a significant gain for most people who move to a new country. Michael Clemens, a senior fellow at the Center for Global Development in Washington, quantified these gains in a 2011 paper, “Economics and Emigration: Trillion-Dollar Bills on the Sidewalk?” He found that unrestricted immigration could create tens of trillions of dollars in economic value, as captured by the migrants themselves in the form of higher wages in their new countries and by those who hire the migrants or consume the products of their labor. For a profession concerned with precision, it is remarkable how infrequently we economists talk about those rather large numbers. Truly open borders might prove unworkable, especially in countries with welfare states, and kill the goose laying the proverbial golden eggs; in this regard Mr. Clemens’s analysis may require some modification. Still, we should be obsessing over how many of those trillions can actually be realized. IN any case, there is an overriding moral issue. Imagine that it is your professional duty to report a cost-benefit analysis of liberalizing immigration policy. You wouldn’t dream of producing a study that counted “men only” or “whites only,” at least not without specific, clearly stated reasons for dividing the data. So why report cost-benefit results only for United States citizens or residents, as is sometimes done in analyses of both international trade and migration? The nation-state is a good practical institution, but it does not provide the final moral delineation of which people count and which do not. So commentators on trade and immigration should stress the cosmopolitan perspective, knowing that the practical imperatives of the nation-state will not be underrepresented in the ensuing debate. First, many economists, especially conservative ones, have a libertarian streak. Ever since Adam Smith taught us about the wonders of free markets and the magic of the invisible hand, we have been loath to prohibit mutually advantageous trades between consenting adults. If an American farmer wants to hire a worker to pick fruits and vegetables, the fact that the worker happens to have been born in Mexico does not seem a compelling reason to stop the transaction. Second, many economists, especially liberal ones, have an egalitarian streak. They follow the philosopher John Rawls’s theory of justice in believing that policy should be particularly attuned to its impact on the least fortunate. When thinking about immigration, there is little doubt that the least fortunate, and the ones with the most at stake in the outcome, are the poor workers who yearn to come to the United States to make a better life for themselves and their families. Third, economists of all stripes recognize that our own profession has benefited greatly from an influx of talent from abroad. I’d add a fourth item to Greg’s list: Many economists, both liberal and conservative, have a cosmopolitan streak. They thus place great weight on the wellbeing of foreigners, not just native Americans. From the libertarian side, that means caring about the liberty of the Mexican worker, not just the American farmer. And from the egalitarian side, that means caring about the poor immigrant worker seeking a better life, not just the person who employs them or the resident worker competing for similar work. Such cosmopolitanism isn’t universal, of course. For example, some economists oppose greater immigration on the egalitarian, but non-cosmopolitan, concern that it would drive down wages for existing U.S. workers. 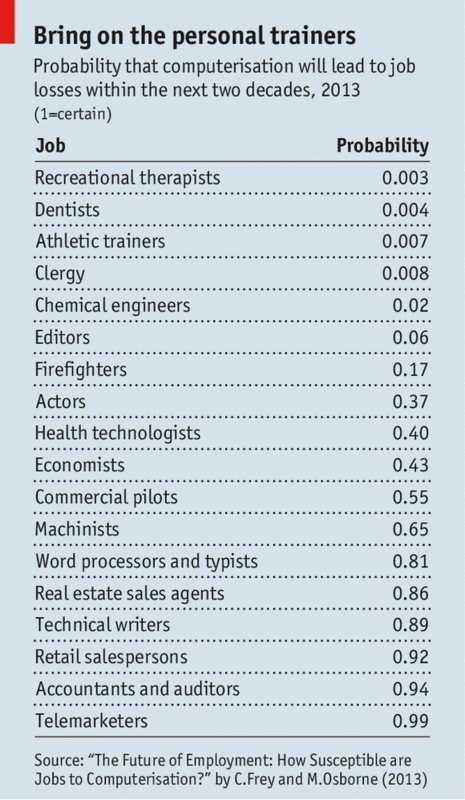 On average, though, that perspective seems less common among economists than among non-economists. What Should Economics Do in the Next Decade? Most popular of the pitches, judging from the number of SSRN downloads, is, Why Don’t People and Institutions Do What They Know They Should?, by David Cutler, of Harvard University (a pungent exploration of the complexity of aligning incentives within and among organizations); followed by A Complete Theory of Human Behavior, by Andrew Lo, of the Massachusetts Institute of Technology(confront and reconcile inconsistencies across disciplines, complete with summer camps for newly-minted PhDs); Research Opportunities in Social and Economic Networks, by Matt Jackson, of Stanford University (study the patterns of interaction that most economic models abstract away); and Modeling and Measuring Systemic Risk, by Markus Brunnermeier, of Princeton University, Lars Peter Hansen and Anil Kashyap, both of the University of Chicago, Arvind Krishnamurthy, of Northwestern University, and Lo, of MIT (build network models and collect new and often sensitive data) . In macroeconomics: Randall Krozsner, of the University of Chicago, offered a concise blueprint for improving the dialogue between financial economics and macro, beginning with more attention to economic history. Kenneth Rogoff, of Harvard, described a three-item wish list, including a better cost-benefit analysis of financial-market regulation. Martin Neil Baily, of the Brookings Institution, described a series of fundamental questions and appended a strong brief for evolutionary economics. Ricardo Reis, of Columbia University, suggested investigating more carefully the potential upside of transfer programs such as Medicaid, tuition assistance, disability insurance and early retirement for combating recessions. Glenn Hubbard, of Columbia, called for more modeling and estimation of fiscal policy multipliers “outside of the heat of battle of individual policy debates.” And Herbert Gintis, of the Santa Fe Institute, plumped for more agent-based modeling. Read David’s entire post for many more.